I manage the diverse commercial events held at the complex and make sure the needs of our event planners are met – from booking in the best available hall to following up with questions, concerns and payment prior to the event. I was in 4-H for 11 years focusing on livestock projects. This led to participating in Capitol Days, State Days, round-ups and my county fair. My favorite part of 4-H was meeting new people, both in the organization and in our community. I also enjoyed learning and developing valuable life lessons and skills including: public speaking, meeting goals, and setting budgets as well as stewardship, compassion, and gratitude. It sounds ironic, but the most valuable lesson I learned from 4-H was right in front of me at every 4-H meeting and event when we recited the 4-H pledge. We practiced what we preached every time we had an event, and it made me personally continue it in my everyday life. I learned that our hands are pledged to larger service for our community, country, and world. While in 4-H, I found that we did make a difference by giving back to our local fair and community. We were taught to care for our younger members and have respect for our older members. We, above all else, were taught stewardship and gratitude in our everyday lives. Did 4-H help to prepare you for the job you have today? If so, how? 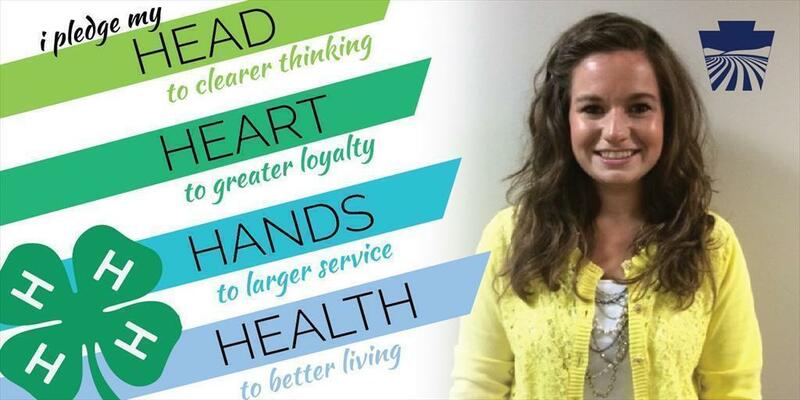 4-H instilled valuable lifelong lessons around leadership, stewardship, and gratitude. Those principles have assisted me in every job I have had, so far, and I will continue to carry these with me for the rest of my life.